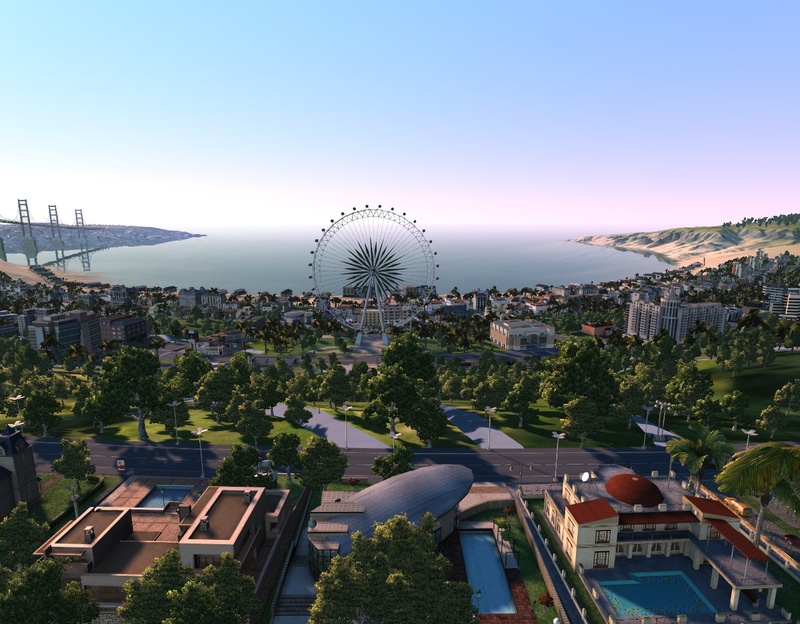 This screenshot was taken in New Coast City Bay, a new district connecting the circle structures with the shore line. As promised in my last journal here some more details about that area. The street layout of the Bay area follows the shape of the expressway that surrounding the circles of New Coast City and slowly stepping down to the beach. This area is the place for the rich and famous of the city, they reside in there mansions along the road network. The spaces between the residential areas are rich of parks and some offices. 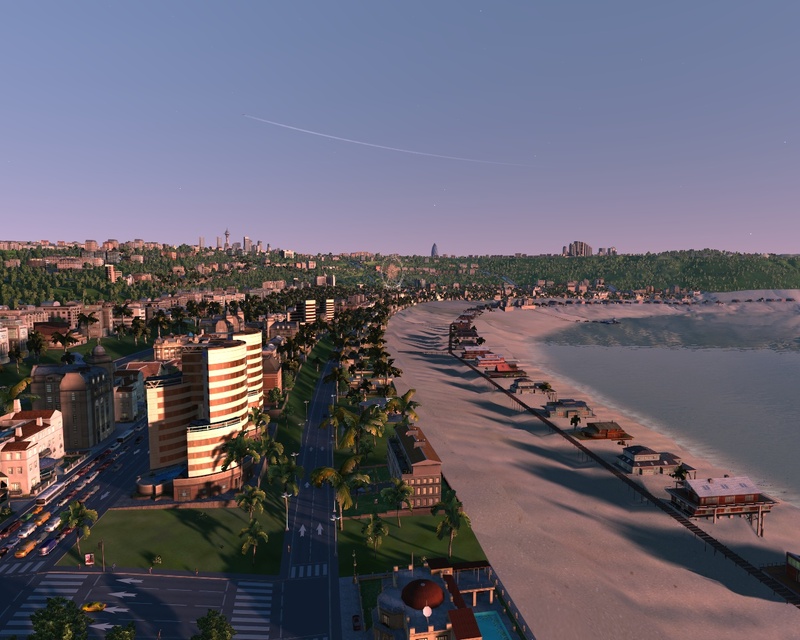 This Part of New Coast City is also the best area for vacation, so there are many hotels, especially along the beach. A leisure park with a large Ferris wheel is located in the centre of New Coast City Bay. Also some public buildings for eduction, health as well as a fire and police department can be found there. Now some weeks are past since New Coast City emerged from the darkness and it makes a huge step forward so fare but there is still much to do. 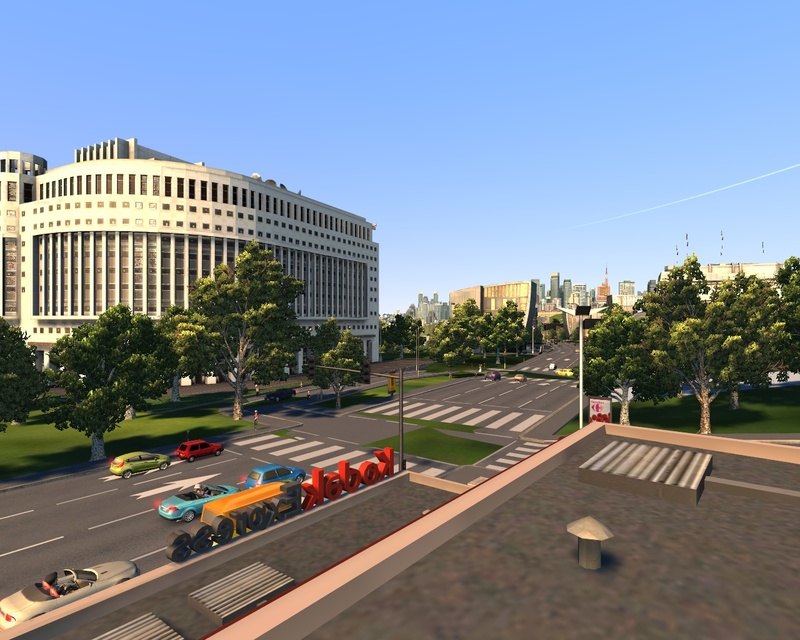 After installing CitiesXL 2011, importing New Coast City and loading it ingame things started to get worst at the beginning. One big problem was the lower range of all public services, so people getting very unsatisfied, very fast. 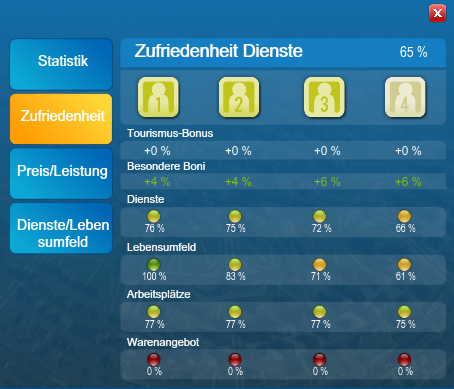 I sold every token my city produced to omni and after that, with a good cash flow, I started to advance my public service network in New Coast City. 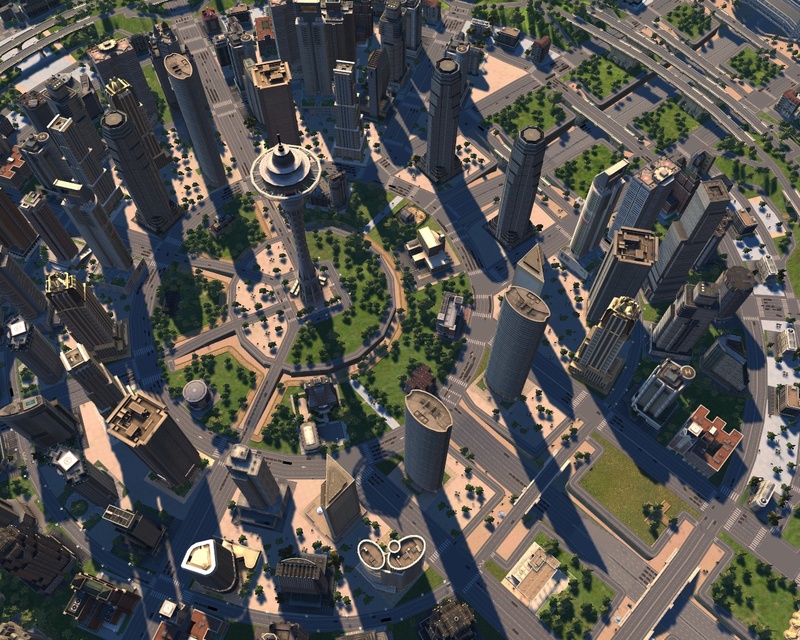 All public buildings were located in the center of each circle and needed some addition. 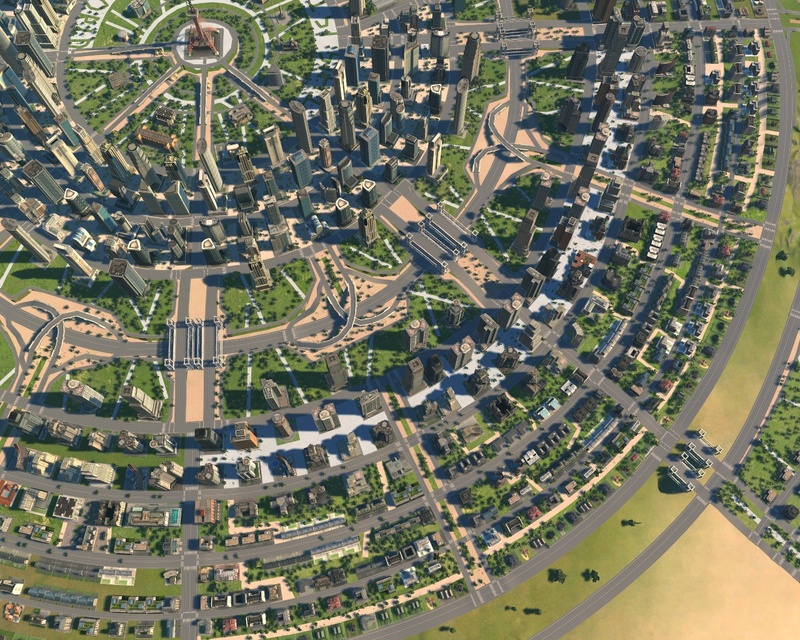 So I added some schools, Hospitals, fire- and police departments to the center of the Central- and Prime Circle. Especial the End Of The World Plaza needed some changes to provide more space for this kind of buildings but my intentions were also to keep the character of this area. I also added some landmarks and now this central plaza is truly the cultural hart of New Coast City. 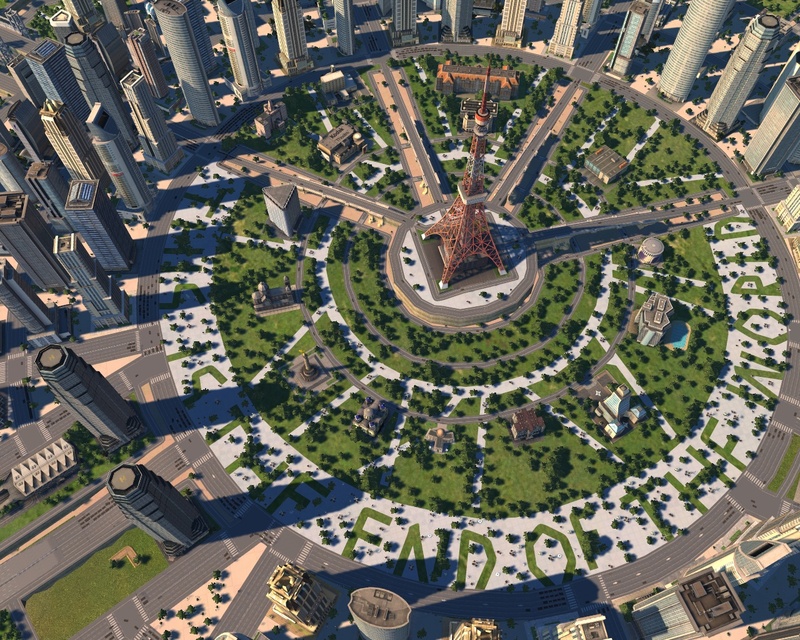 By placing public service buildings in the center of each circular shape, directly on a optimal road and freeway connection, they are getting very efficient. They are able to reaching many inhabitants, just the range of some smaller buildings like the elementary school and leisure stuff have is to small to reach every residential area in the Prime Circle. So i have build some of these things at the outer residential rings. After all these changes people now got very satisfied and happy again. 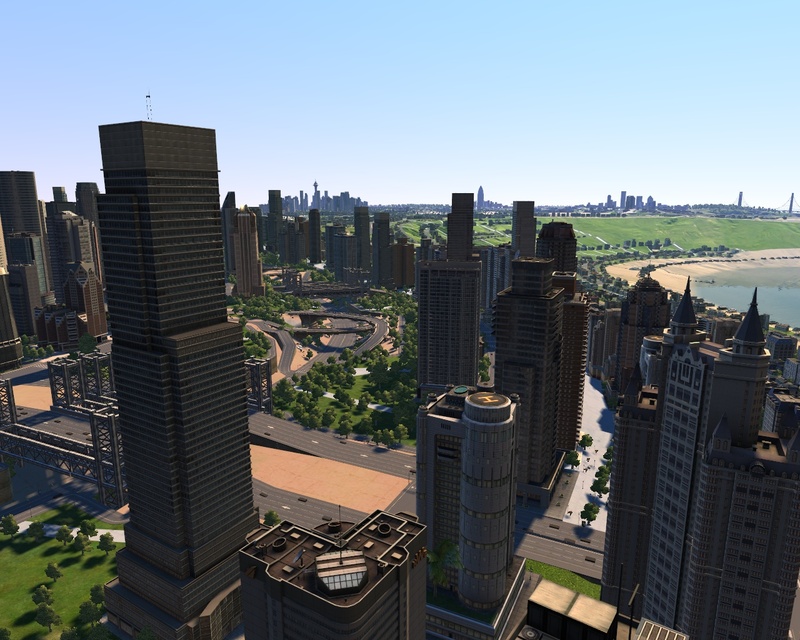 Now New Coast City was CitiesXL 2011 ready, and I started to build new residential areas, agricultural and high-tech industry. 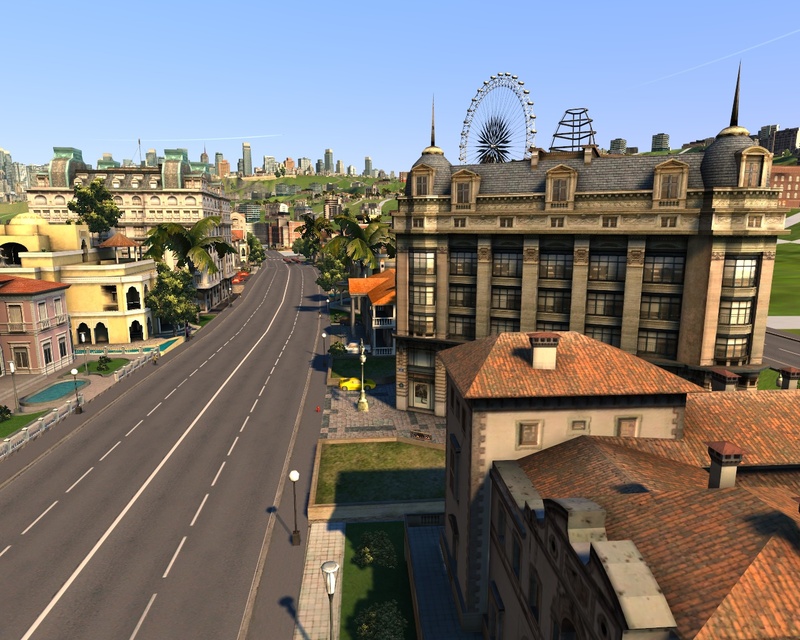 Most parts of the roadlayout were already finished, so I almost just needed to fill them with buildings. Because of that the population was rising very fast (at least for a city from me) from 400.000 to 650.000 inhabitants. 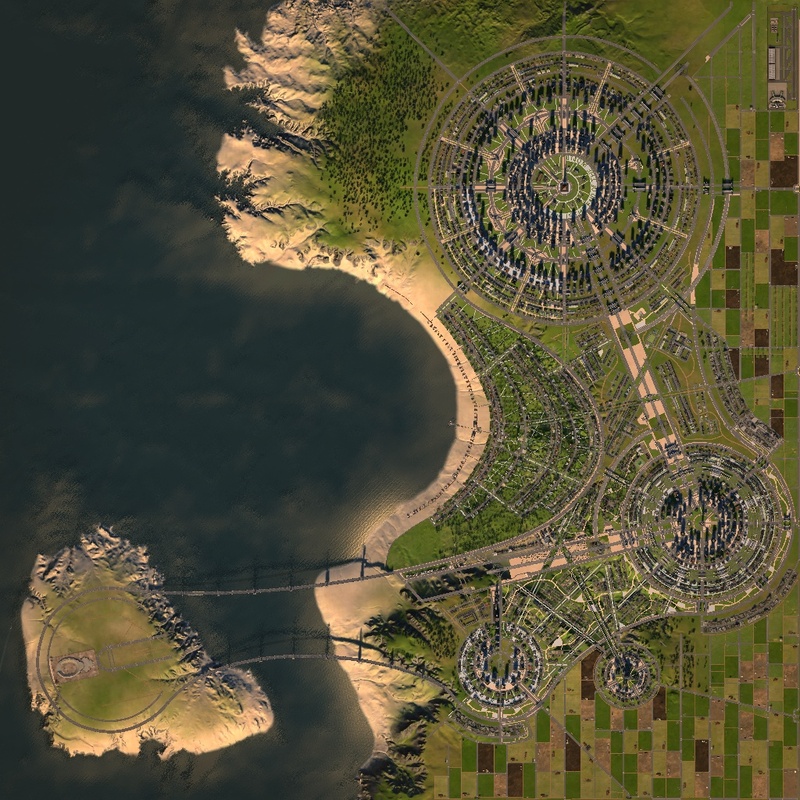 Just the area between the Central- and Prime Circle and the New Coast City Bay district needed some more work. I guess especially the tricky work on the Bay district was worth of it. 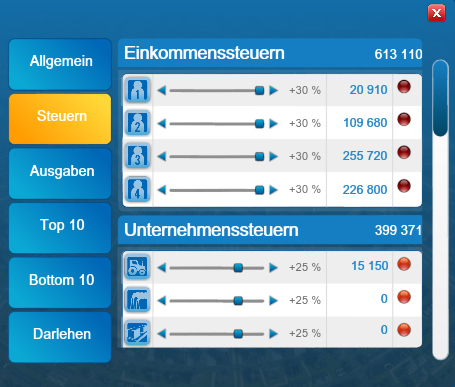 I took this beautiful screen shot and submitted it to the German version of the official Paradise City contest. 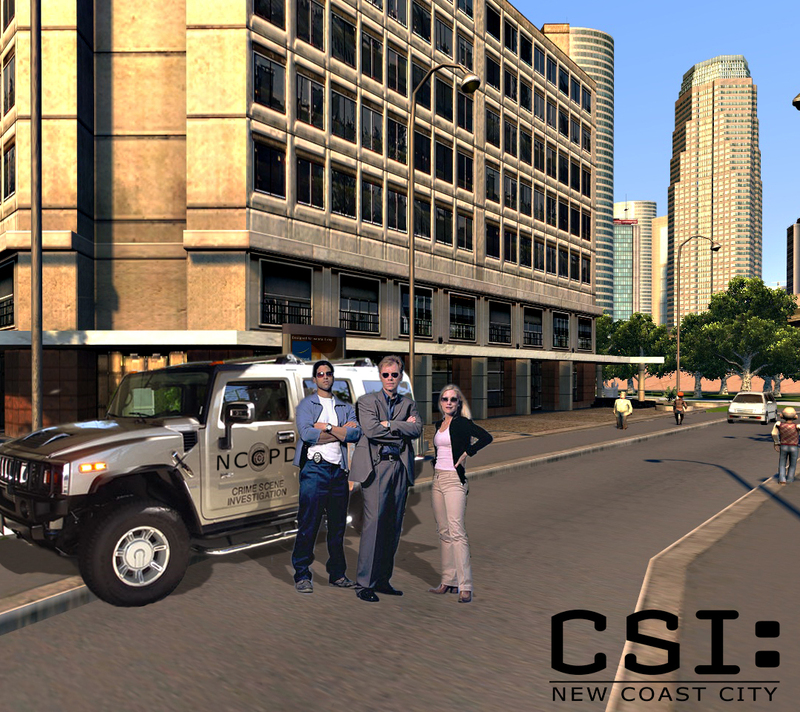 But I will give you all some more info’s about New Coast City Bay in my next journal entry. After my 5th and last journal entry the end of the planet offer comes close really fast, and it became obvious to me that it is impossible to finish New Cost City before the server will shutdown. But many players asked me if I like to hold a last large Avatar meeting in New Cost City, to say goodby to all planets, players and there amazing cities. 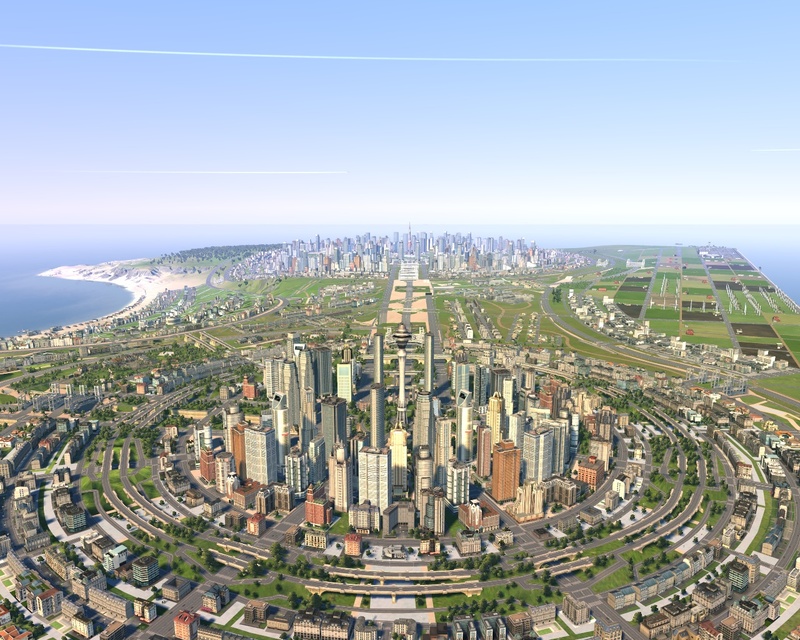 I tried my best to push New Coast City as fare as I can, especially the Prime Circle. Because I thought the central park circle would be a perfect location for the End Of The World Party. So I started to build the next sunken freeway section to connect the Prime Circle to the rest of the city and build an interesting traffic network within it. 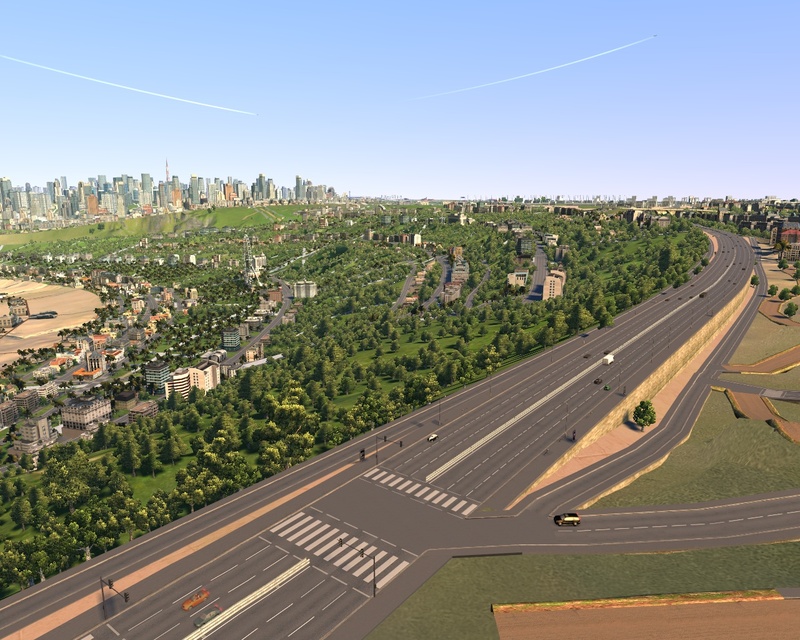 For example an expressway into that park parkcircle and connected with custom interchanges to the central traffic axis, btw. I captured a video about this. I also added the office district in the center area. In the center of this circle itself I started a new megastructure, the Tokyo Tower, as prominent Landmark. To highlight this tall building I placed it on a pedestal. Around this tower I created the End Of The World Park, with its characteristic lettering. This central park, like all the central parks in the other circles, has also some public buildings to keep satisfactory in New Coast City on a high level. I added a link to a nice tutorial written by THEJESTR about how to create beautiful customized intersections with elevated roads and one way streets. You can find it in my guide section.